After a middling performance for "Man of Steel" back in 2013, the DC Extended Universe definitely started off in a wobbly way. Three years after and we finally get its second foray into the extremely huge superhero segment with "Batman v Superman: Dawn of Justice". As expected, it's a rather stark contrast against its main rival. It's not only a battle between DC's greatest superheroes rather it's also a battle to prove that DC could finally one-up Marvel in the big screen front. It's Marvel's colorful, family-friendly, comical style versus DC's dark, gritty, realist take. Did "Batman v Superman: Dawn of Justice" actually bring its A-game or is it another misstep for the DC franchise? Read on to find out our verdict. As Gotham City's own vigilante Batman (Ben Affleck) witnesses the negative effects of a super hero's potential for destruction when left unchecked, he decides to take matters with his own hands. 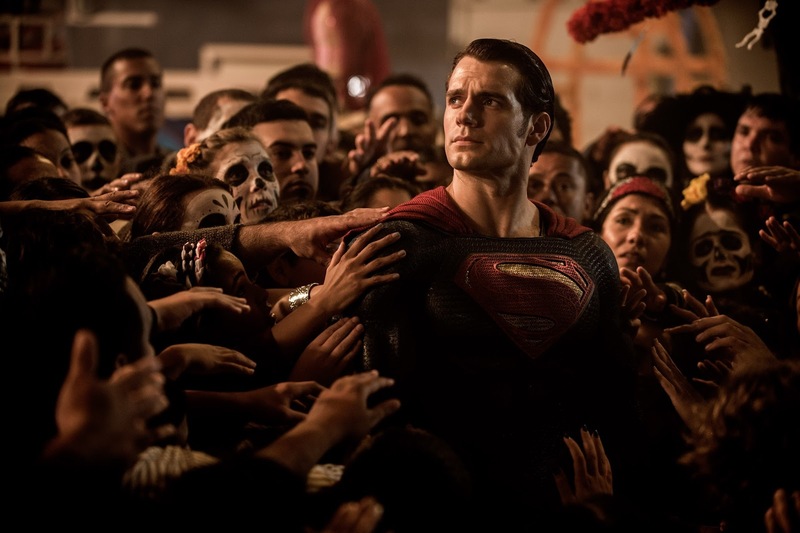 He goes to Metropolis and takes on its most revered savior Superman (Henry Cavill). With Batman and Superman at war with one another and the world on the brink of finding out what kind of hero it deserves, a new threat arises, putting mankind in a greater danger than it’s ever known before. It would be an understatement to say that "Batman v Superman: Dawn of Justice" brought a lot of surprises onto the fold. Unfortunately, not all of these are positive in nature. In fact, "Batman v Superman" is a startling shock on how much Zack Snyder hasn't really changed his style when compared to his rather pedestrian "Man of Steel". It actually feels a lot similar - repeating the same faults that hindered it. Mostly, the ebb and flow of the narrative was kinetic but also overwhelming. There are just so many characters that they needed to balance out that it feels that a lot of them feel half-baked. Additionally, even with its brisk pace, the plot felt surprisingly slow at times especially the first half of the film. It didn't help that the sequences change jarringly. In fact, we honestly felt lost a handful of times especially with the switch to Bruce Wayne's dreams. The soundtrack too was so-so. One of the few things we loved with "Man of Steel" was the emotional soundtrack it had but this time, we didn't get the same effect. Things eventually ramp up for "Batman v Superman" and this is where the film shines. While the first half was a slow and messy build-up, the latter half proves that the wait was well worth it. 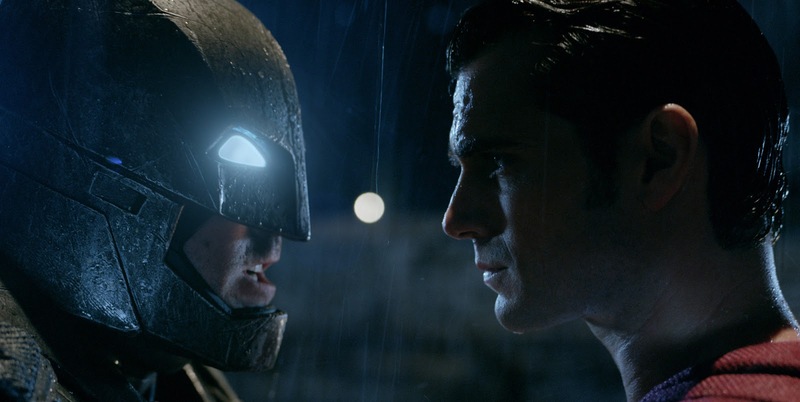 The battle between Batman and Superman was epic and delivered much more than what we anticipated it to be. The road getting there had a lot of twists and turns and actually caught us off guard. The events after are even more shocking without spoiling anything - let's just say that the film had one of the better climaxes we have seen in a superhero film in recent years. The biggest surprise for us is Ben Affleck's Batman. A lot of people seriously had a lot to say when this was revealed and a lot of people are going to eat there words after watching the film. His meaner, grittier, older, slower yet manlier Batman is the best we have seen yet and his fight sequences were part terrifying and part impressive. As for the other cast, Gal Gadot was great as Wonder Woman but we felt that she was underused. Henry Cavill had a just good second round as Superman while Jesse Eisenberg was solidly disturbing as the psychotic Lex Luthor. Jeremy Irons as Alfred was just heavenly. "Batman v Superman: Dawn of Justice" unfortunately still falters a lot. We love the gritty, dark, serious road that DC envisions for their films as it actually delivered a deeper experience for us. But the way this was executed could have been more effective. As it is, there's a slight disconnection in the first half that leaves it with feeling dull and left us feeling empty.